Amazon has agreed to a deal to acquire 3D mapping startup UpNext, reports GigaOM. This is significant because Amazon does not currently offer a built-in mapping product on its Android-based Kindle Fire tablet and may be looking to do so in the future. The announcement of Google’s Nexus 7 tablet, a direct competitor to the Kindle Fire, likely has Amazon thinking about ways that it could compete on a more even playing field with Google. 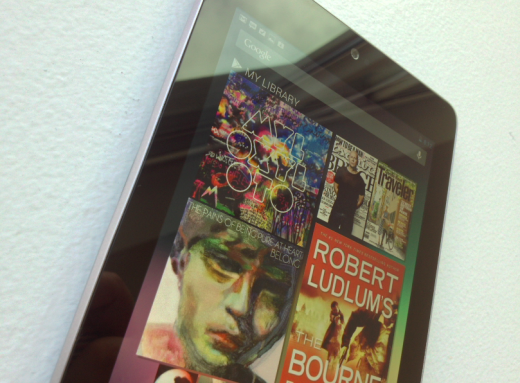 While the initial release of the Kindle Fire wasn’t exactly the best device ever, it did have a pleasantly redesigned home screen and ran on a personal Amazon fork of Android, not Google’s official flavor. This means that it doesn’t come with any official Google apps, including Maps, although users can install them from the store. So the acquisition of UpNext makes a solid case that Amazon is in it to offer would-be 7″ tablet buyers a solid case to go for the next generation of Kindle Fire instead of the Nexus. In my personal testing, I found the Nexus 7 to be the best Android tablet that I’ve personally used, and TNW’s Drew Olanoff was also suitably impressed. It’s certainly the best effort that we’ve seen come out of a close Google collaboration and a worthy entry into the smaller tablet market for Google’s Nexus lineup. It’s far from perfect, but if given the choice right now, the Nexus 7 is an easy choice over the Kindle Fire. The first version of Amazon’s tablet was basically rushed to market just to get a product out for the holiday season, and it has served its purpose as a piton into the tablet market. Now, Amazon needs to follow up big with its next release, cementing itself as a player in the face of the Nexus which has access to the mostly very good Google services, including maps. In fact, the Kindle Fire runs on something but you can’t actually call it Android, because that is technically a Google trademark on the version of its OS that contains Google apps and branding. So this OS is based on the portions of Android that are available as open source, but then has been tweaked significantly from there. This means that any improvements that Amazon makes on top of that, including proprietary apps, won’t benefit Android at all. In fact, they basically just swooped all of the development that Google put into it and are effectively giving them back nothing. Not the cachet of having the OS run on Amazon’s tablet, not a kickback for licensing and not the all-important information and advertising that Google harvests from every official Android device. The current Kindle Fire doesn’t even have a GPS unit, so it couldn’t really use the maps to any decent effect, but you can bet that the next version will. This makes one acquisition that points to Amazon building out its own personal fork of Android and I wouldn’t think it will be the last. Fleshing out the software of the ‘next’ Kindle Fire will help it to compete more directly with the Nexus 7, which hits the market later this month.